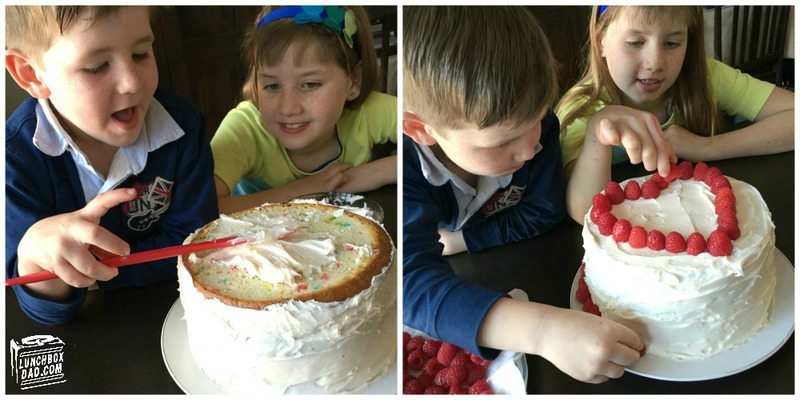 Lunchbox Dad: Easy Raspberry Cake For Dads and Kids to Make For Mother's Day! Easy Raspberry Cake For Dads and Kids to Make For Mother's Day! Disclosure: This is a sponsored post partnering with Driscoll's Berries. I received compensation, but all opinions expressed are solely my own. There are very few things that can brighten a dad and kid's day more than saying "easy" and "cake" in the same sentence. It is even better when you can include Mother's Day in that sentence. I know many of you men dread trying to find something special for that wife, mom, or mother figure in your life. Maybe some of you thought you found the perfect present last year, but for some reason she didn't appreciate that combination electric kitchen knife/hedge trimmer you bought for her. 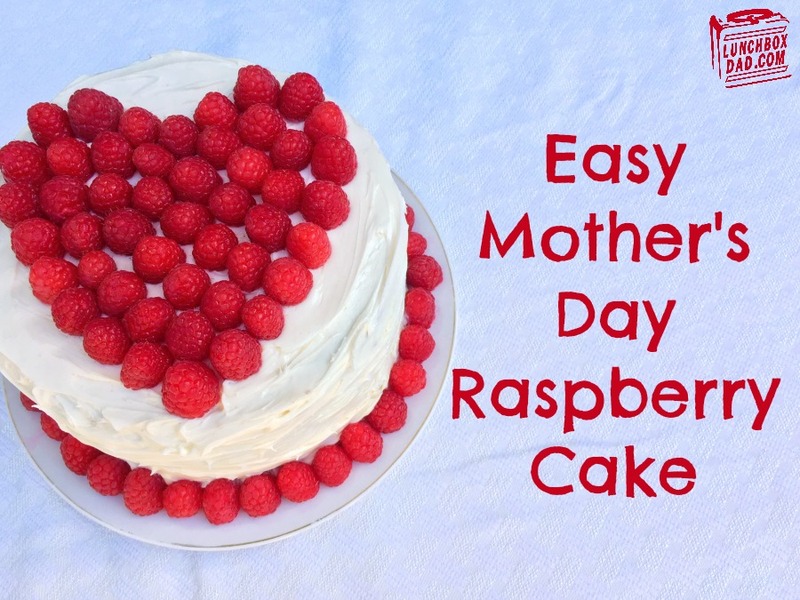 Have no fear, because I've partnered with Driscoll's Berries to bring you this amazingly easy and awesome Mother's Day raspberry cake recipe! This cake not only looks like you and the kids spent all day making it, it tastes fantastic as well. Don't think you have to do all the work yourself either, this is so easy your kids can pitch in as well. The only problem I came across was saving enough Driscoll's raspberries for the cake because we were eating them all during the decorating process. So have a great Mother's Day and don't forget to click the link below to find more Driscoll's recipes and a FREE Mother's Day card download that goes with this cake perfectly! 1. Remember to involve your kids and take lots of pictures! Another good thing to do beforehand is to find out the favorite cake flavor or recipe for the person you are making this for. You don't want to make a chocolate cake if they can't stand the sight of it. 2. Preheat your oven first. Mix the cake recipe according to the directions from the recipe you chose. 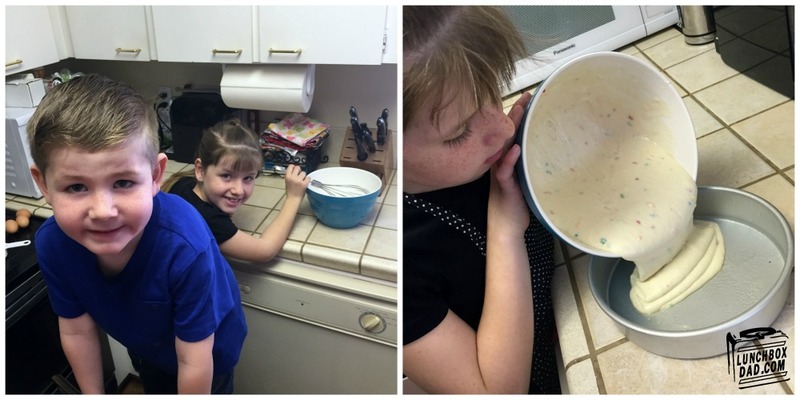 You will also want to remember to grease the cake pans before putting any batter in. For this recipe I used two 8-inch round cake pans, but on Driscoll's website you can find a recipe using one 9-inch cake pan. 3. Once batter is mixed, pour half into one cake pan. Pour remaining batter into second cake pan. If you only have one round cake pan, bake the batter in that pan first, let cake cool, then remove. Repeat with second cake. If batter overflows, or rises too high, cut top off to make cake flat. 4. Once first cake cools, place on plate you will use to present cake to whomever will receive this glorious gift. Frost with spatula. If using a raspberry jam filling, spread this on top of bottom cake instead of frosting. 5. Once second cake has cooled, center on top of first cake. 6. 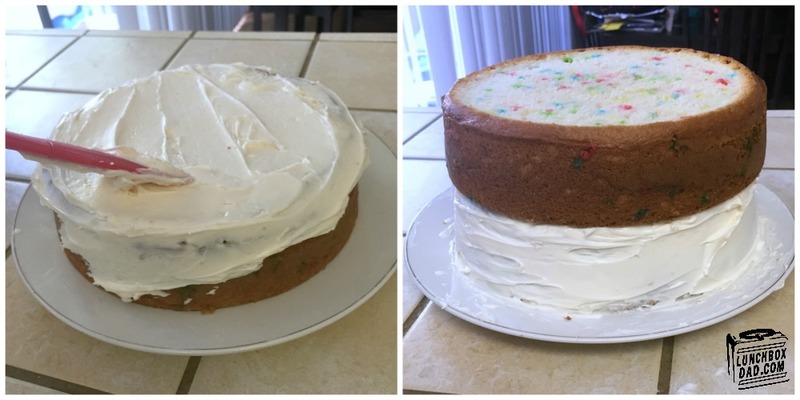 Spread frosting on top and sides of second cake. Make sure to smooth out the sides so it appears as though it is only one cake. It doesn't have to be perfect and your kids can easily do this. 7. Once you have spread all the frosting, wipe edge of cake plate with towel to remove excess and make sure it looks nice. Don't slack on this step. 8. 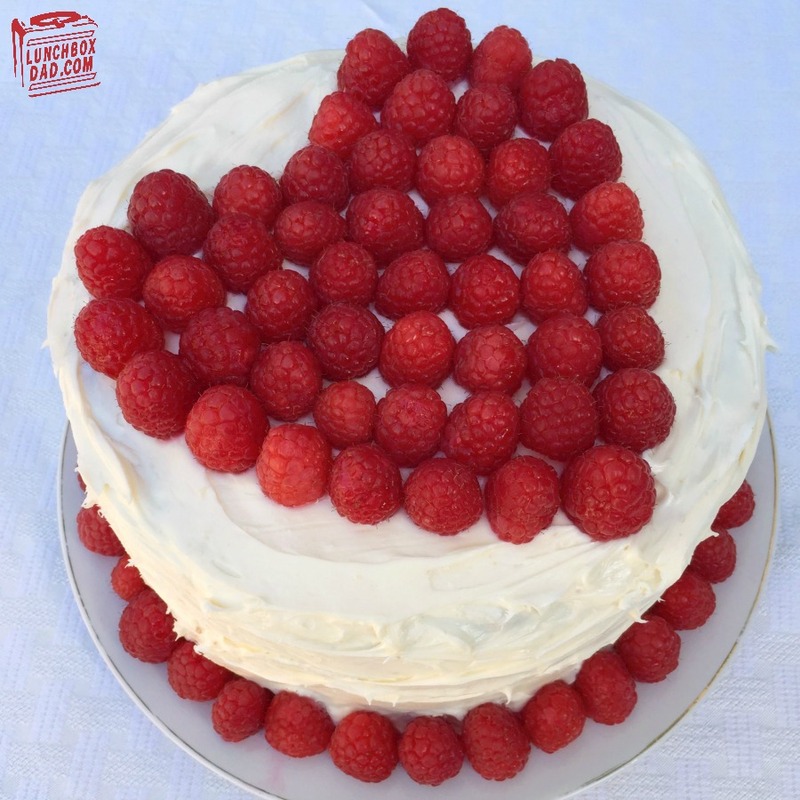 Arrange Driscoll raspberries on top of cake in heart shape as shown. Finish by putting one layer of raspberries around bottom edge of cake. Present on Mother's Day and be prepared for huge, smiling faces!